Welcome to a new series of articles by Centives that examines how The Daily Show with Jon Stewart has evolved over the years. Find out more about the analysis in our introduction over here. The show began its life through an interview with Michael J. Fox. As a 37 year old male actor, he broadly reflected the characteristics that would go on to define the show in 1999. When the show first began it was barely recognizable as the more serious political humour that we know today. Over 90% of the guests were actors, comedians and musicians. No author made an appearance on the show. But even within the first year we could see the beginning of Jon Stewart’s interests having a bearing on the direction of the show. Bob Dole made his first appearance towards the very end of the year, in December, and was the first ever politician to appear on the show. His interview was split into two parts and aired on consecutive days, which, under the Centives methodology, counts as two appearances. But as Centives will argue in future posts the occupational distribution of guests that Jon Stewart brings onto The Daily Show paint a picture of an individual who is not primarily interested in politics, but, rather, the news media. He enjoys watching the watchmen. In the penultimate week of the show, Joan Lunden, the first and only journalist in 1999, was interviewed by Jon Stewart. Nobody could have predicted then that this would be the beginning of a long running conversation between The Daily Show and 24 hour news cycle driven reporting of the United States. Of the 162 interviews, close to 40% of the guests on the show were female. The average age of a Daily Show guest in 1999 was a moderately young 38. The youngest individual to make an appearance on the show was Natalie Portman who talked with Stewart at the age of 17. On the other end of the spectrum, Bob Dole, at 76, held the record for oldest individual of the year. 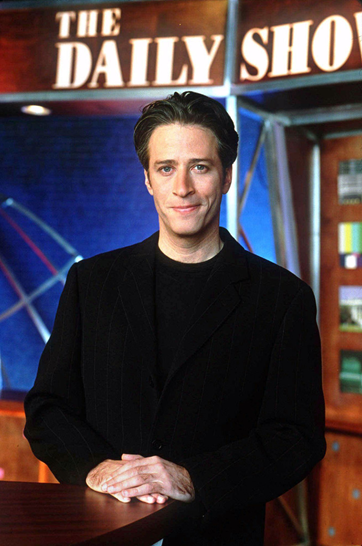 As the millennium came to a close, Jon Stewart inherited a show that would become the longest running program on Comedy Central. The show is now best known for its dual nature as a source of serious journalistic commentary, and humorous political coverage. This was just beginning to become evident by the end of 1999. Follow us on Twitter to get the latest updates as Centives continues its weekly coverage of the Evolution of The Daily Show Over the Years. Or head on over to our editorials page to find out Phoebe Buffay’s startling secret, Rachel Berry’s Life After Glee, and The Most Effective Justice League of America.